Installation view of The Art of Video Games. Photograph courtesy of the author. © Smithsonian American Art Museum. 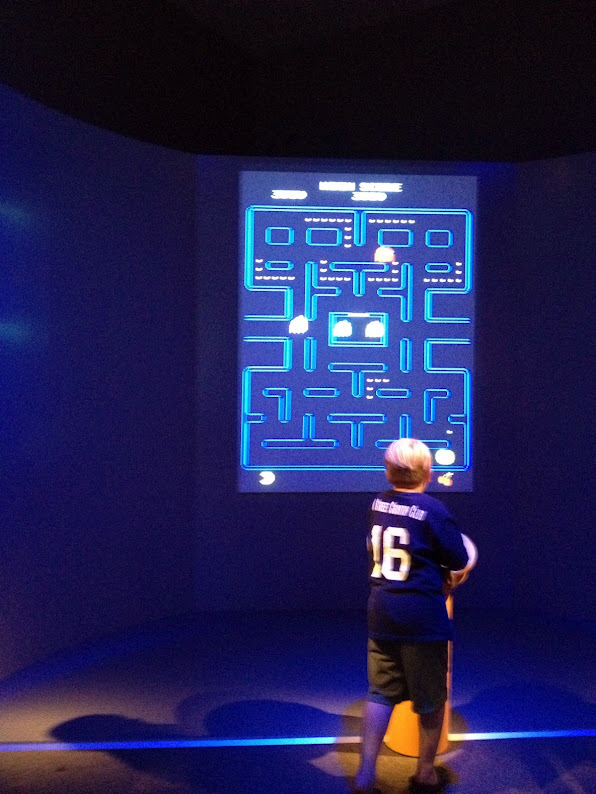 Currently on display at the American Museum of Art in Washington DC is an exhibition on The Art of Video Games. I feel this is a timely exhibit as new media and interactive art pervades the contemporary art world. Much of these technologies and concepts began with the advent of video games. Curated by Chris Melissinos, the exhibit takes a look back over the history of video games, which spans the past forty years. As I made my way through the exhibition, I was able to have three distinct experiences about storytelling, interaction and technological development. Together, they represent the necessary components for creating a profound video game experience. The first room describes the concept art, storytelling, and emotional experience of the video game. In one video, the game developers discuss their first experiences with game play, their process when making video games and the importance of storytelling. Additionally, a video triptych turns the camera on video game players to show the emotional response elicited from game play. The room also has a large display of concept art such as an early sketch of Sonic the Hedgehog. 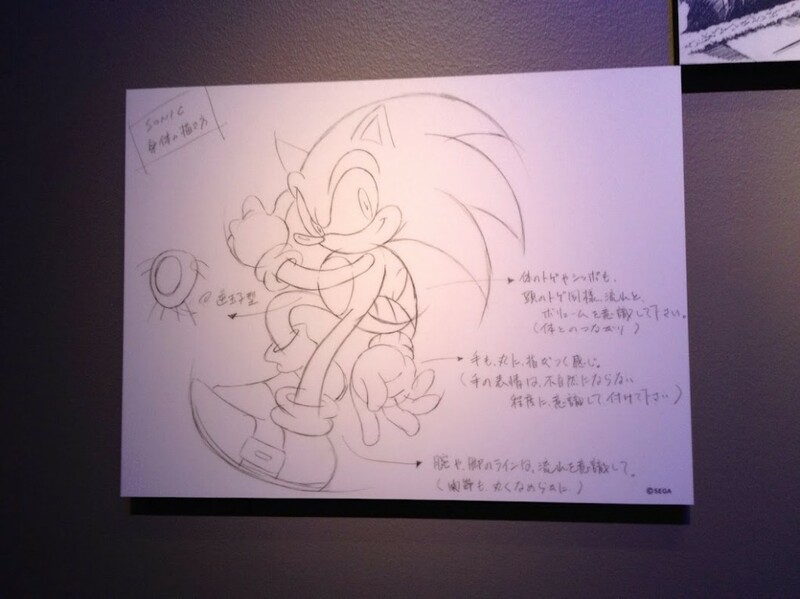 Installation view of The Art of Video Games and sketch of Sonic the Hedgehog. Photograph courtesy of the author. © Smithsonian American Art Museum, Sega. 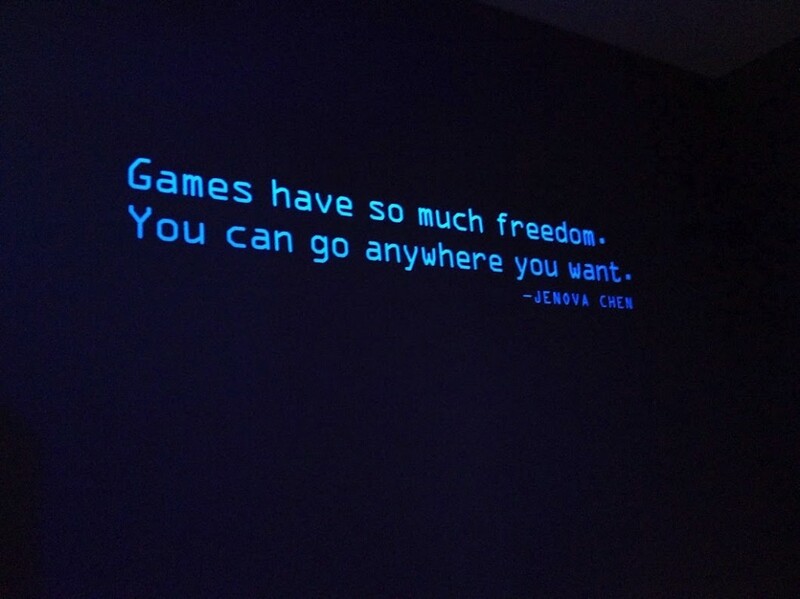 The second room allows viewers to interact and play the video games. There are five playable games including Pac Man and Flower. Each game was created in a different time period and therefore utilized a different type of video game technology. The last room reveals a detailed timeline of the many technological advancements and character developments since the conception of the video game. Focusing on twenty different gaming systems, you could learn about the development of video game technology and their games in chronological order. 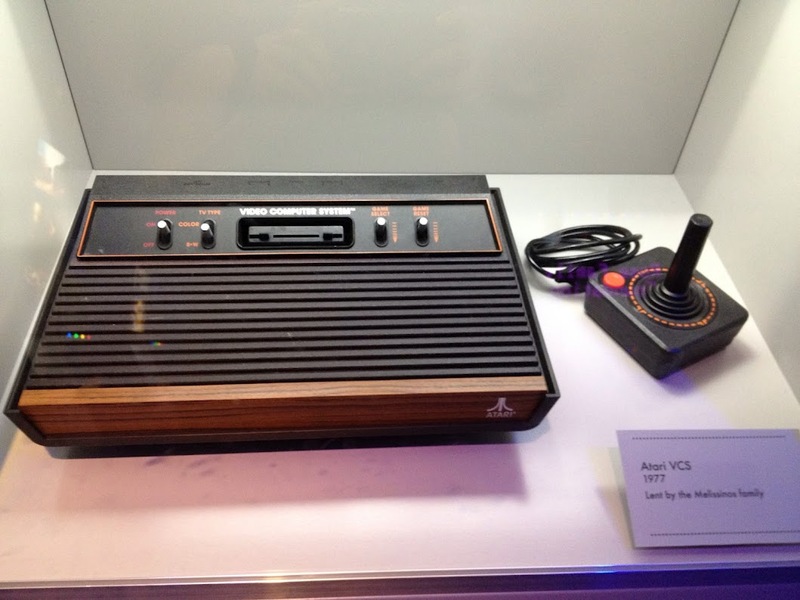 Installation view of The Art of Video Games and Atari gaming system. Photograph courtesy of the author. © Smithsonian American Art Museum, Atari. This sensory experience brought forth a flood of emotions and nostalgia. I could not help but be delighted when I played the original Mario Brothers game, which was the first video game I ever owned and played as a child. I watched groups of people as their experience became communal. Generations shared stories about their own experiences with video games, and I even overheard one father say to his kids, “we never had gaming systems.” The dimly lit spaces, projected images, and hum of video game sounds transported me to the arcade scenes of my childhood, taking the visitor out of the museum itself. After leaving the exhibit to explore other galleries, I was transported back to the quiet, contemplative museum experience. Some people may raise the question of whether or not video games are even art, but to me this question is less pressing than the curator’s nod to the future. I was particularly struck by a video where video game developer Ed Fries states, “You had the industrial age, and what is this, the information age? Maybe it’s not; maybe it’s the game age.” This idea made me think, what can video games become? As we realize the potential and depth that technology can provide to the video game experience, what do we have to look forward to in the future? I left the exhibition wondering about the exciting changes that may occur in my lifetime. It is significant that this exhibit was embraced by the Smithsonian’s American Art Museum and not displayed in the American History Museum. The exhibit is not a mere time capsule describing a piece of history accompanied by cultural artifacts; it is a display of the innovation and beauty that has emerged and evolved with new technological revolutions. 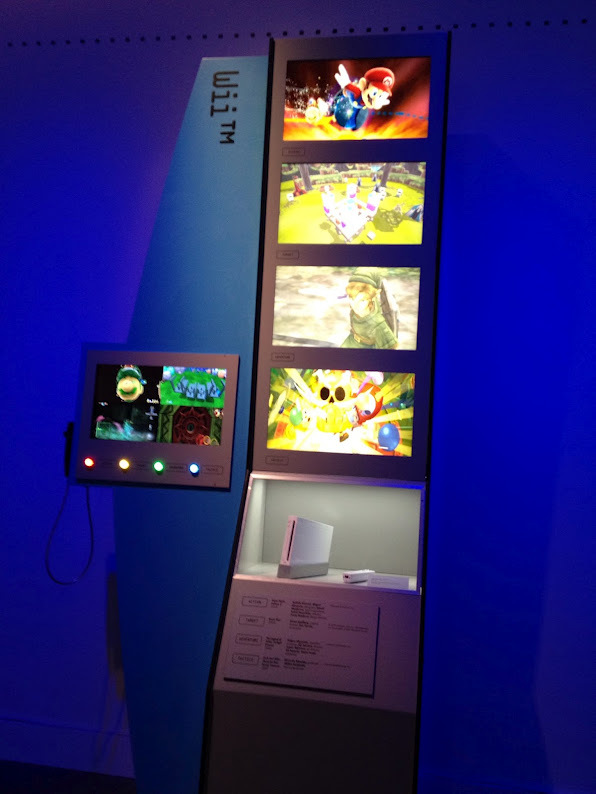 Installation view of The Art of Video Games and the Nintendo Wii gaming system. Photograph courtesy of the author. © Smithsonian American Art Museum, Nintendo. For more information, or to plan your visit to the exhibition, click here. Sherry Saunders is an assistant professor of graphic design at Lamar University in Beaumont, TX. View her work here.